With a target to stand high on the beliefs of our privileged customers, we are presenting a wide variety of Designer Embroidered Fabric. Accessible in several attractive colors and patterns, this fabric provide a trendy and notable look to customers. In addition, this offered product is accessible in several colors and patterns at budget friendly prices. 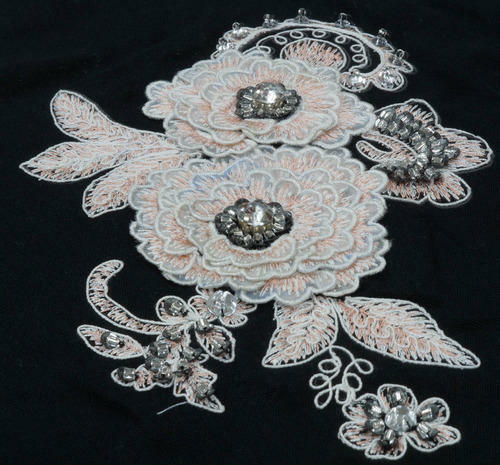 Indian Embroiders is a distinguished business name readily engaged in manufacturing, exporting and supplying an exquisite and exclusively designed collection of Embroidered Fabric, Ladies Western Dresses, Ladies Scarf and Designer Necklaces. Fabricated in line with the quality principles and industry defined guidelines, the fabrics used in their development are of top notch quality and are obtained from specialized sellers of the industry. To add, we guarantee that only highly pioneering and tools and techniques are utilized in the sewing procedure of our provided collection of products. Accessible with us in a number of color, sizes, designs and patterns, we offer the facility of altering their sizes.